Investing means different things to different people… and there is a huge difference between passive investing and becoming an active, engaged investor. 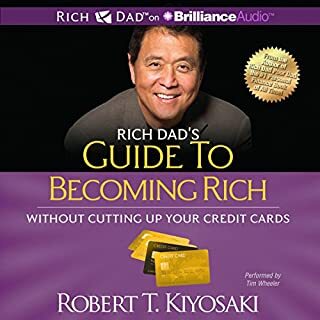 Rich Dad’s Guide to Investing, one of the three core titles in the Rich Dad Series, covers the basic rules of investing, how to reduce your investment risk, how to convert your earned income into passive income… plus Rich Dad’s 10 Investor Controls. 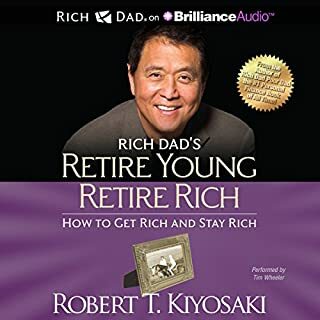 The Rich Dad philosophy makes a key distinction between managing your money and growing it… and understanding key principles of investing is the first step toward creating and growing wealth. 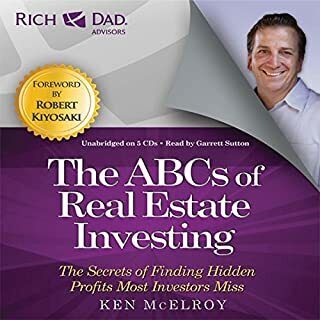 This book delivers guidance, not guarantees, to help anyone begin the process of becoming an active investor on the road to financial freedom. 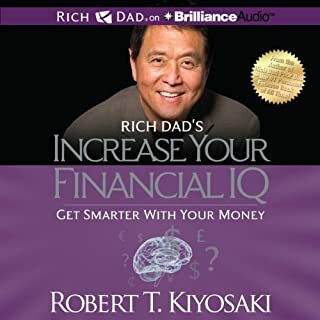 This is a great book to introduce professionals looking to become more financially literate. It can sometimes be hard to follow, and does sometimes sponsor the "Cash-Flow Game". 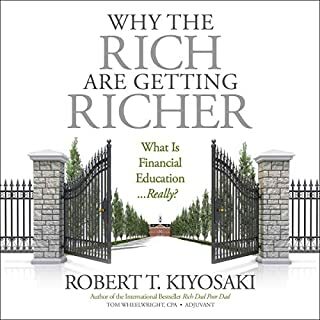 Otherwise, it is a good book to add to ones arsenal of books that will lay the foundation for building knowledge and understanding about money and investing. The book is an easy listen, not very technical. I think he could have cut the 14.5 hrs and kept it a bit more focused instead of all the story telling. Disclaimer: Have not finished the book yet ! Maybe i will change my mind. 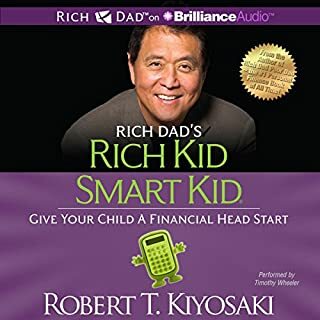 Couldn't stand any more of those lessons-conversations between Rich Dad and Robert. Rich Dad says something in riddle, Robert stupidly asks "what do you mean?" then half hour of the explanation of a simple thing covered in puzzle ... Why most people are non successful in investing? Oh... See, it's because they don't know what do they want and they don't have a plan... blah-blah-blah... same over and over... waste of time. Didn't finish..
Really enjoyed listening to this audio book! Very insightful, but I do wish I listened to Cash Quadrants prior to better understand the concepts. 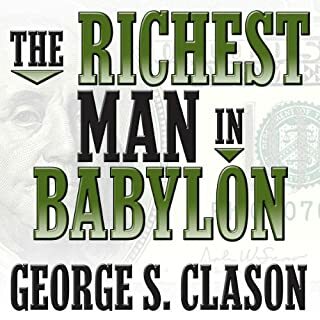 I plan on re-listening to this book after completing the Cash Quadrant. 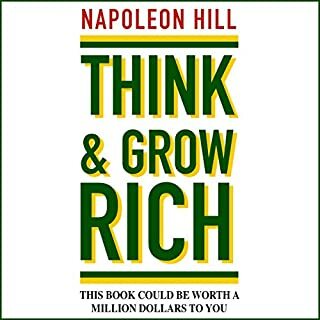 The concepts in the book really opened new doors to ideas and perspectives on how to better have money work for me. Glad to have invested my time with this book. 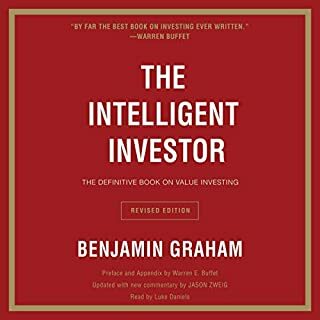 One claim in the beginning of this book is that any investor of any level can get some thing form this book. After grinding through the entire book, I can say that this is almost entirely false. Robert does go through some points about becoming an investor can be important, but that's really it. You keep getting the feeling that he will walk the listener into a new ideas, but instead he always finds a way to circle back to old ideas (many from his first book) and repeat the to a mind numbing level. 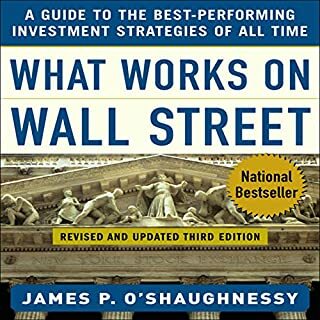 This book titled guide to investing, but there's next to nothing about investing as it pertains to how the economy works, stocks, bonds, futures, ect. There's some, but its an afterthought. 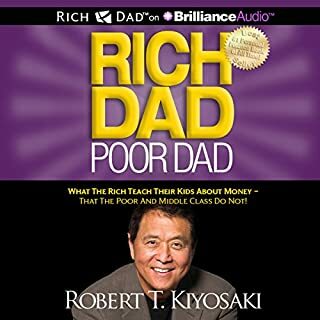 I also covered Rich Dad Poor Dad, and I found some of the philosophy easily palatable to readers. but that was it. I think that all the author had to say was in that book, and I personally cant imagine that I will buy another book in this series. 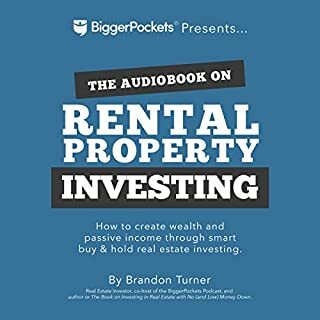 If you are interested in investing, then you will find plenty other great ones on Audible. Whether you like him or not, Robert has great advice and really changed my way of thinking as well as reinforced my way of thinking in some areas. Ever since I started following his guides, my life has changed for the better and I finally feel like I'm in control of my life. Their are some issues with the book in that there is a bit of fluff where he says the same thing over and over but in different ways, and then if you're already familiar with his other books he goes over stuff you already know, over and over, so its a little annoying. BUT there's a lot of new info in here that's definitely worth buying the book for. If you're trying to get out of the rat race of that 9 to 5 then get this book. Its worth it, get it on audible and listen to it while in traffic. You'll get a fire like never before to get your life on track to stop working for money and get your money working for you. The motivation is there, the actionable ideas are not. Same thoughts repeated over and over as fill is annoying. 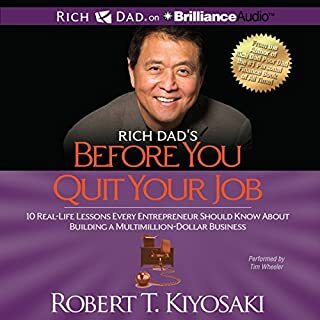 What was most disappointing about Robert T. Kiyosaki’s story? This book completely fiction and made up. He never had 2 dads and "Rich Dad" never existed. It's been proven and he's admitted it. Yet, with his horrible writing and disturbingly repetitive stories and statements, it's amazing how he can repeat the same garbage for this long, book after book after book. If you read the first book, you will NOT get anything new out of here. So disappointed, it's a complete rip off and sales pitch to attend his seminars and buy his ridiculously expensive mentoring packages (that are just more sales pitches). DO NOT LISTEN TO THIS BOOK! Fair warning, it's the same stuff in his first book, just overly embellished, exaggerated, and useless. 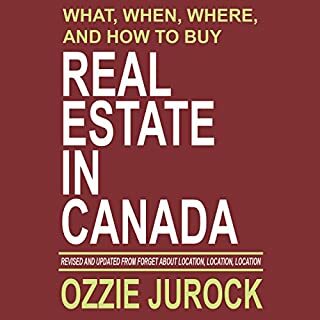 He literally continues to repeat, "your house is not an asset" "Rich Dad's philosophy is your house is not an asset" "Why call your house an asset if it costs you money" "your house is not an asset" "Rich Dad's philosophy is your house is not an asset"..... see where I'm going? DO NOT LISTEN TO THIS BOOK! This is a very long book with LOT AND LOTS of fluff. He says a lot without saying anything important, restating the same useless banter about himself over and over again. It's frustrating. Over and over he says the same things, it's as though he needed to repeat himself just to have enough content to fill a book. It could have been less than half its length. It's pathetic and I feel cheated. The book was quite long. 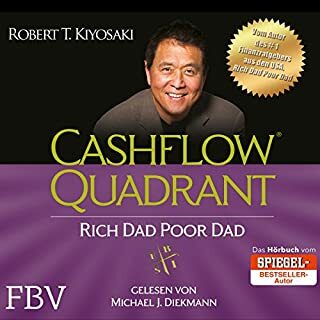 I have read this book, cashflow quadrant, and rich dad poor dad. 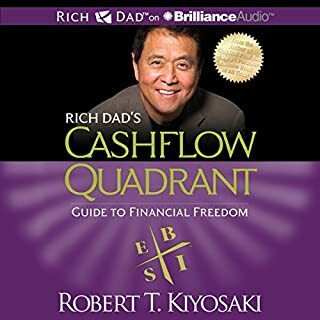 You can just read rich dad poor dad and potentially cash flow quadrant and get a new mindset as to how to start thinking. Those two books I would say are the most important. 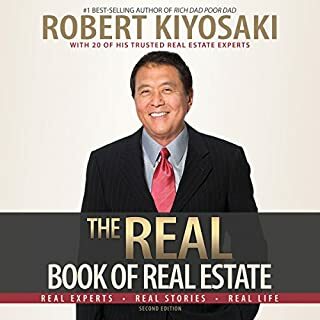 This entire book felt like repetition of previous statements Robert has made in both rich dad poor dad and cashflow quadrant. 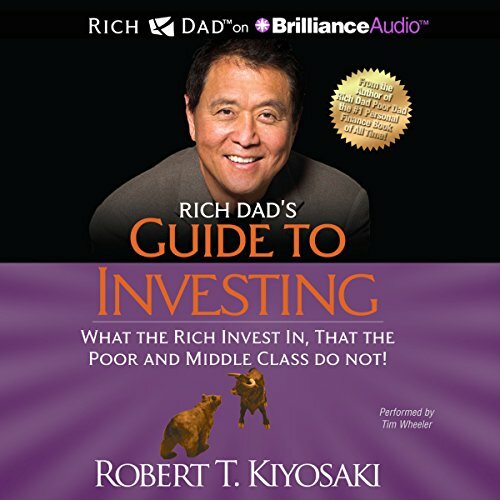 What made the experience of listening to Rich Dad's Guide to Investing the most enjoyable? Very interesting not only in the direct message, but the indirect zen like messages of how we look at wealth and what real wealth actually is. 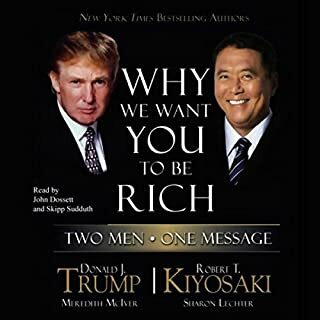 As Robert Kiyosaki points out, people who only count money and look for money will never have the money they so desire. Happiness is not a product of cash, it is a product of attaining true understanding of how things work. Robert, because he writes directly of his experience of striving to understand the different view of life through both fathers. What about Tim Wheeler’s performance did you like? Seemed to fully grasp the concepts of the material. Even when it was repetitive, he keeps it flowing. When Robert describes his fathers rise in the academic world only to find himself at the mercy of a defeated system. This strikes home with so many people I have known who worked for companies for many years only to find themselves abandoned in midlife. They drank the kool-aid that led them to the end of the road with no exit. Even though it seems repetitive, the message needs repeating. The point of the story needs to be emphasized.